Family owned and operated throughout its four generations of measured growth through a commitment to quality and service. Truly a family owned and managed dairy, Scott Bros. Dairy has been in continual operation here in Southern California since 1913. Truly a family owned and managed dairy, Scott Bros. Dairy has been in continual operation here in Southern California since 1913. Scott Brothers Dairy was founded by Ira J Scott in 1913 when he moved from Iowa to California. His sons, Scott Brothers, Leonard and Millard, owned and operated two locations along with their sons and co-owners Stan, son of Leonard, and Don, Millard’s son. From the very start, the company was founded and built on quality, convenience, and price, with a reputation for friendliness and customer service. 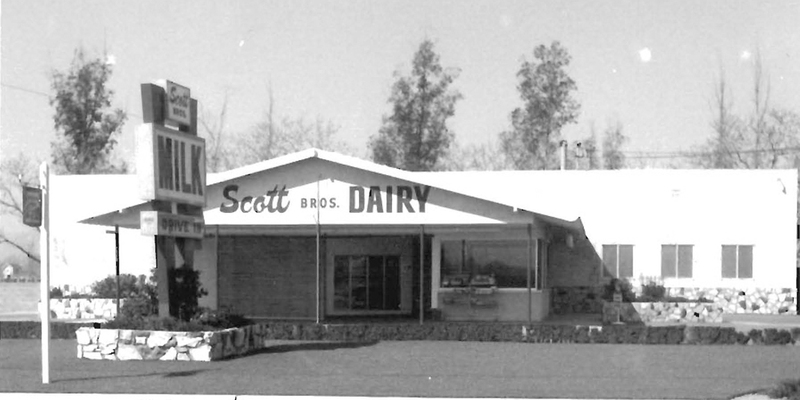 For four generations, the Scotts have been operating their dairy, originally located on Philadelphia Street in Pomona California, with a second dairy, manufacturing plant and retail location on East End Avenue, established in 1961. The original dairy location was eventually sold and an emphasis was put on the second location, which was but a couple of blocks away from the original facility and located in the agricultural zone of Chino. 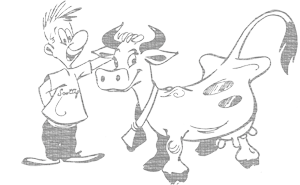 The second dairy, manufacturing plant and retail location became State of California Dairy Plant #06-935 in 1963. In the late 70’s, the dairy farm portion of the business was moved to the San Jacinto California area about an hour’s drive southeast of the Chino plant. Brad Scott currently manages the farm alongside his father, Stan and brother, Bruce, continuing the Scott family tradition for the fourth generation. The milk from the dairy farm is provided exclusively to the Scott Brothers Dairy manufacturing plant in Chino. With increased growth and the farm portion of the business moving to the San Jacinto area, the Chino manufacturing plant location became a joint venture between the Scott Family and the Peauroi Family. Rene Peauroi and his son Mike co-manage the plant and Son-In-Law Vince Sartain is Operations Manager. As a growing business, our first and foremost mission here is to exceed customer expectations through continuous improvements of people, products, procedures and service. That’s not just a sales line we like to give out. We strongly believe that we must continually strive to improve all aspects of our Company. In the works for the most recent addition to the manufacturing plant are a multi-million dollar Warehouse, Quality Assurance and Product R&D Lab as well as additional production plant space. We believe our success in the dairy industry can be attributed to the many family members active in the day to day operations of the company at all levels. Our customers understand that any questions or issues they may have can be taken directly to the top. Scott Brothers Dairy has maintained its foundation of quality, convenience, and price by offering businesses worldwide the opportunity to partner with Scott Brothers Dairy, developing the freshest quality dairy products available anywhere. Chino Valley Dairy Products has been established as the marketing and distribution arm of Scott Brothers Dairy products. 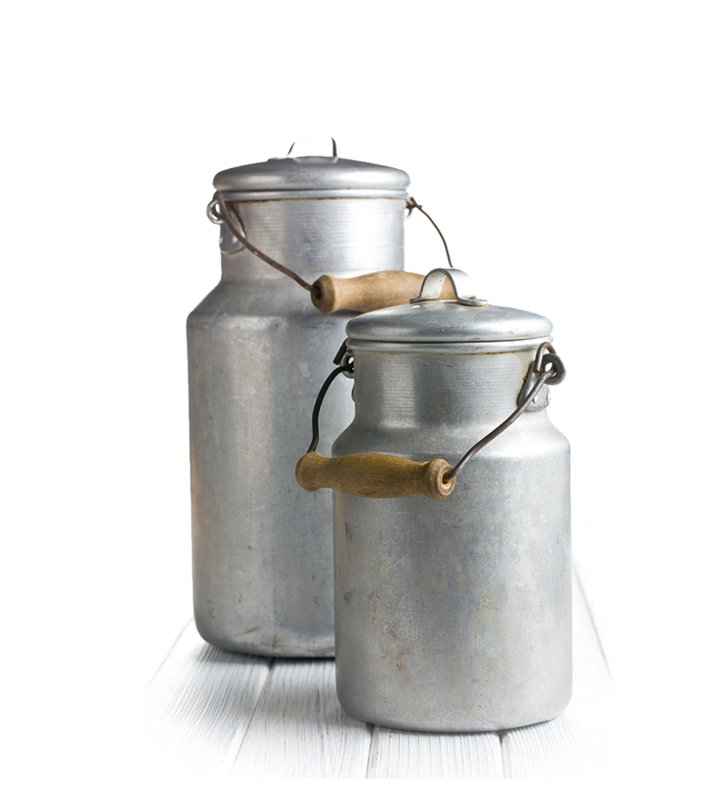 Founded in 2000 Chino Valley Dairy Products handles the sales and storage of all products produced by Scott Brothers Dairy.